Seeing charred pieces of barbecue on your grill is not particularly appetizing. 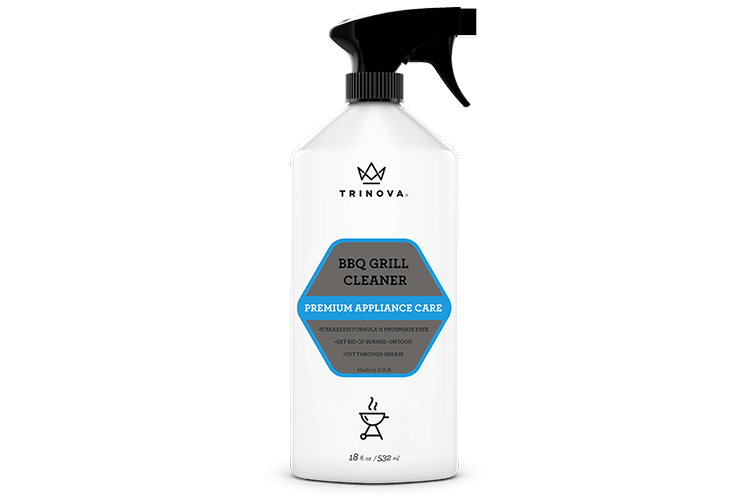 TriNova’s Grill Cleaning Spray gets ride of burnt on residue and grease. 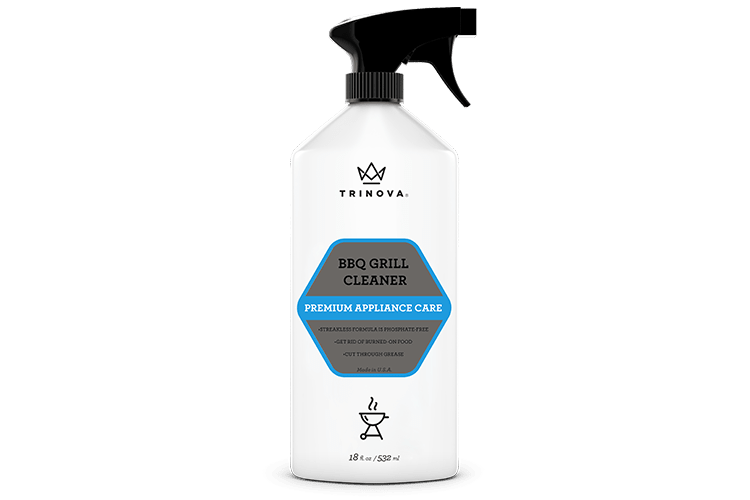 Perfect for cleaning the inside of your grill, combine with our stainless steel cleaner to clean the outside, as well. 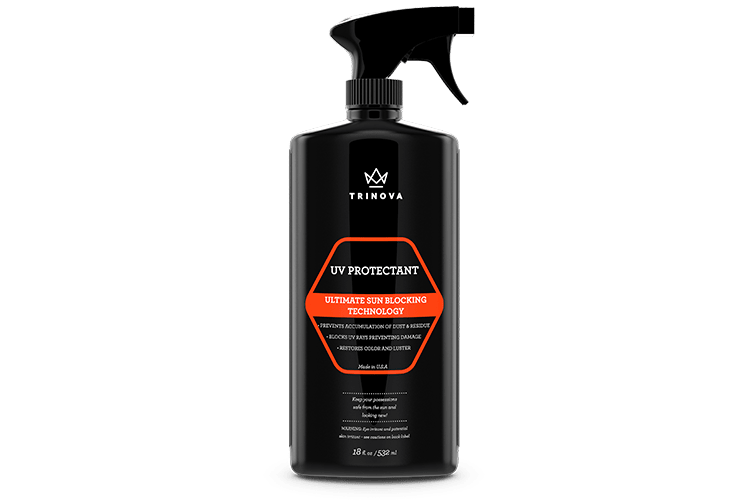 Allow hot surfaces to cool before cleaning, testing in an inconspicuous area before applying to exterior surfaces. 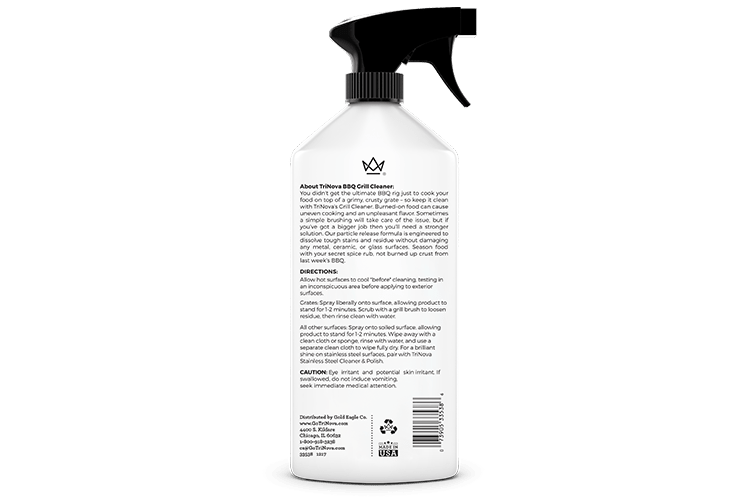 Grates: Spray liberally onto surface, allowing product to stand for 1-2 minutes. Scrub with a grill brush to loosen residue, then rinse clean with water. 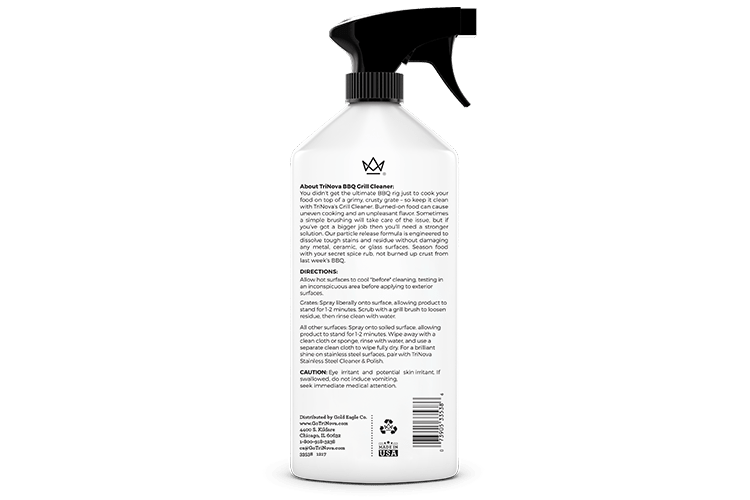 All other surfaces: Spray onto soiled surface, allowing product to stand for 1-2 minutes. 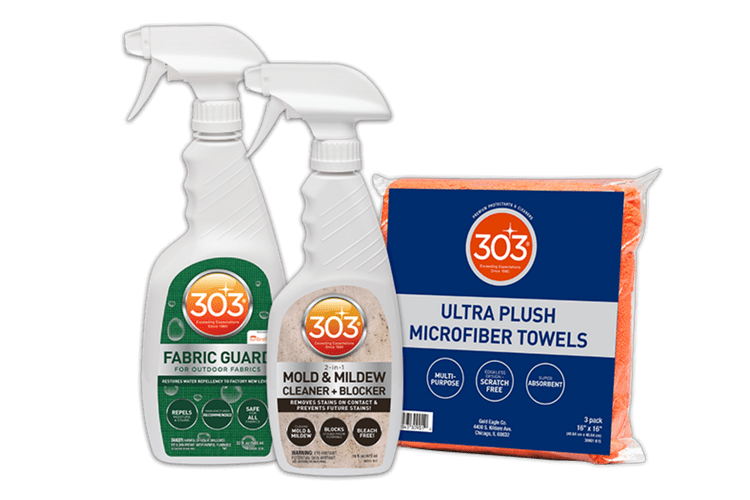 Wipe away with a clean cloth or sponge, rinse with water, and use a separate clean cloth to wipe fully dry. 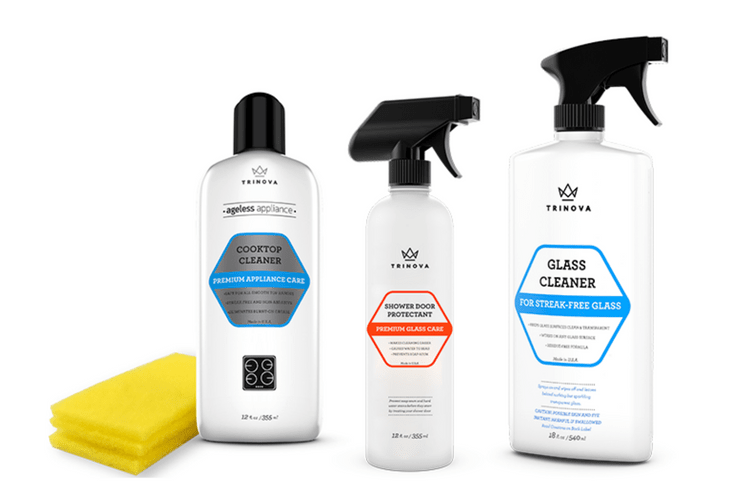 For a brilliant shine on stainless steel surfaces, pair with TriNova Stainless Steel Cleaner & Polish.